SBC’s latest Tipster Profit Report has just been published, featuring ratings, rankings and reviews on 60 of the very best betting tipsters we have uncovered since 2006. The report includes details of the 24 tipsters holding a ‘Hall of Fame’ rating – our list of the very best in the tipping world – those we recommend to bash the bookies with. So if you are interested in betting for profit with tipsters, then this report includes everything you need to get started! 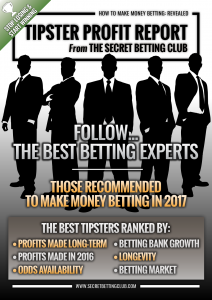 Best of all – the 60 tipsters included in this report have been independently evaluated and ranked with no affiliate links or kickbacks (unlike so many ‘tipster review’ websites). To help with this we breakdown the 60 tipsters into different categories so you can easily compare and contrast them. 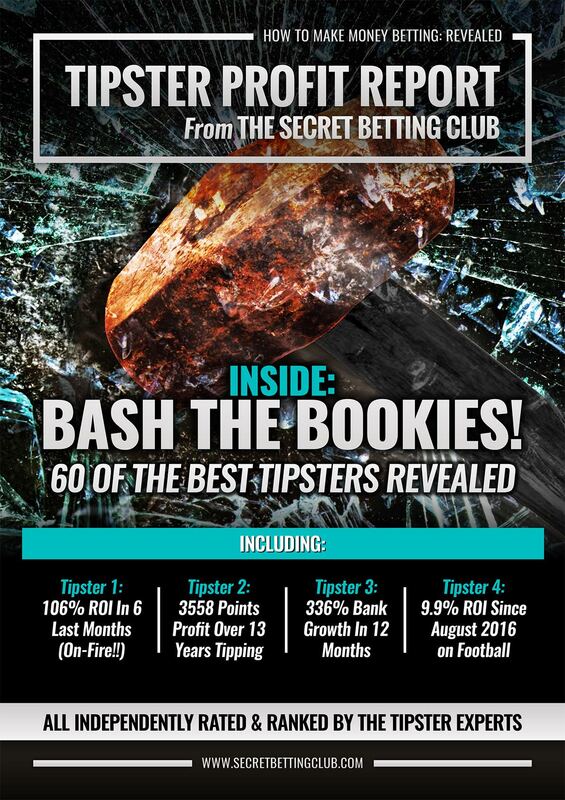 If you are interested in making money betting with tipsters, then SBC’s latest Tipster Profit Report features everything you need to know to become a profitable punter. Inside we reveal the 4 new recommended tipsters making mincemeat of the bookies, plus the latest on a further 20 tipsters in our ‘Hall of Fame’ and 33 other ‘Shortlisted’ experts. You can view updated results, rankings, ratings, league tables and recommendations, which make it simple to discover not just who the best tipsters are, but who the right tipster is for you. 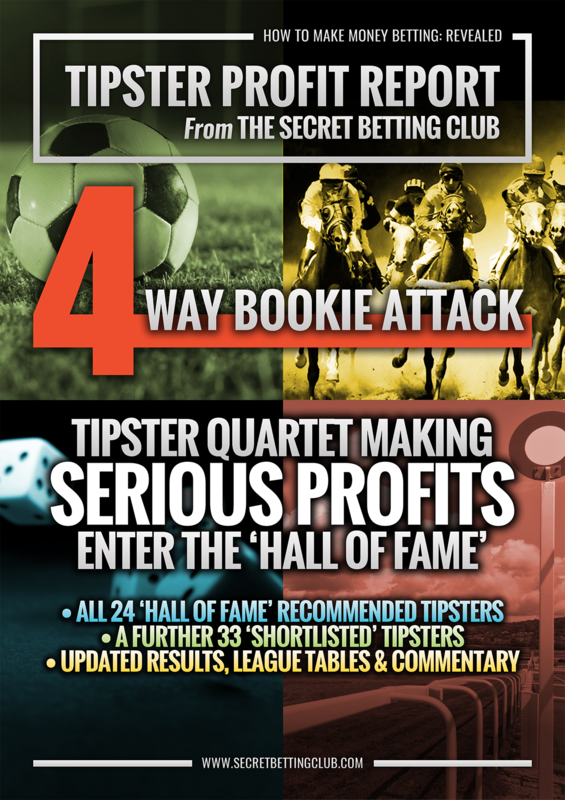 The New ‘Hall of Fame’ Tipster Quarter Making Serious Profits Including…. To help with this we breakdown the 57 tipsters into different categories so you can easily compare and contrast them. A question that I regularly get asked as the Editor of the Smart Betting Club, is just who the best performing and most reliable tipsters actually are? After all, knowing exactly who you should follow with your own hard earned cash is critical to making money betting. Well the good news is that my team and I at the Smart Betting Club regularly publish reports on the latest performance levels of an elite list of betting tipsters. We can this elite list our ‘Hall of Fame’ which is a fully vetted and recommended list of tipsters for you to use. If features those betting experts that have proven themselves to win money for SBC members again and again. To keep the Hall of Fame relevant, it is regularly updated based on the detailed proofed results records we keep for over 50 tipsters – thus ensuring it’s always fully accurate and up to date. 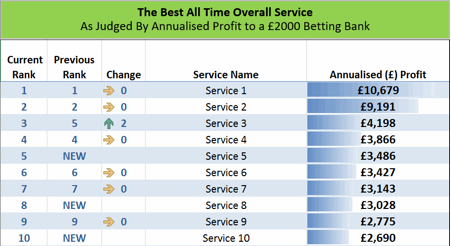 To explain how the table works, if you had started following Service 1 with a £2000 betting bank, in an average year you would make a profit of £10,679.00. Even the 10th best service in this list would make a profit of £2,690 in average year – from just a £2000 bank. What’s more, we are uncovering more and more top tipsters all the time as can also be observed by the new entries at numbers 5, 8 and 10 in the table above. Now whilst I can’t reveal who is on this top ten list to those of you not yet SBC members (for obvious reasons) it does help to showcase what can be made from following them. What I can tell you is that it contains a mixture of Horse Racing and Football based tipsters, providing a nice blend of sports for you to bet upon. I can also reveal that on average, the 22 tipsters that currently make up the Hall of Fame have been active for 71 months. That’s just shy of 6 years – so you know they are proven to work. These are not your useless ‘here today, gone tomorrow’ tipsters you see elsewhere. It’s fair to say that these are the tipsters who have proven to be reliable performers and most of all have demonstrated a clear edge over the bookmaker. You can discover the identifies of those tipsters recommended by the SBC team (and holding a Hall of Fame entry) with a Smart Betting Club membership. Alongside ‘tipster league tables’ which outline the latest performance figures, you can also read our original detailed reviews for every tipster we feature. What’s more, we also provide you with new reviews all the time on the best up and coming tipsters that you need to know about – before anyone else! So if you are interested in betting to make money using tipsters, why not sign-up for your instant Smart Betting Club membership right away! What’s The Most Profitable Sport For Betting? When it comes to profitable betting, one of the most important questions you need to ask yourself is what sport should I bet upon? It’s one of the most common questions we get asked here at the Smart Betting Club and to answer it we have drilled through our stats to find out exactly which sport makes the most profit. What's The Most Profitable Sport For Betting?